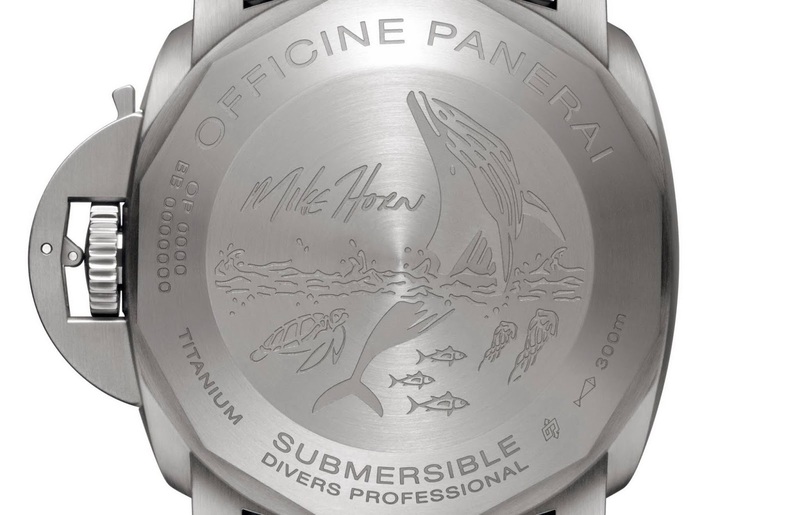 Panerai have once again collaborated with extreme explorer, Mike Horn with the release of two new eco-friendly Submersible models that were created by the brand especially for him. 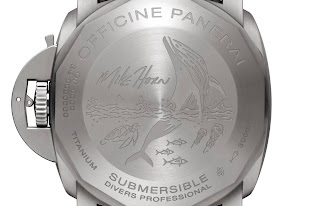 The two new Submersible Mike Horn Editions AKA PAM00984 & PAM00985 were released along with a ton of other new diver’s models shown for the first time at SIHH 2019. 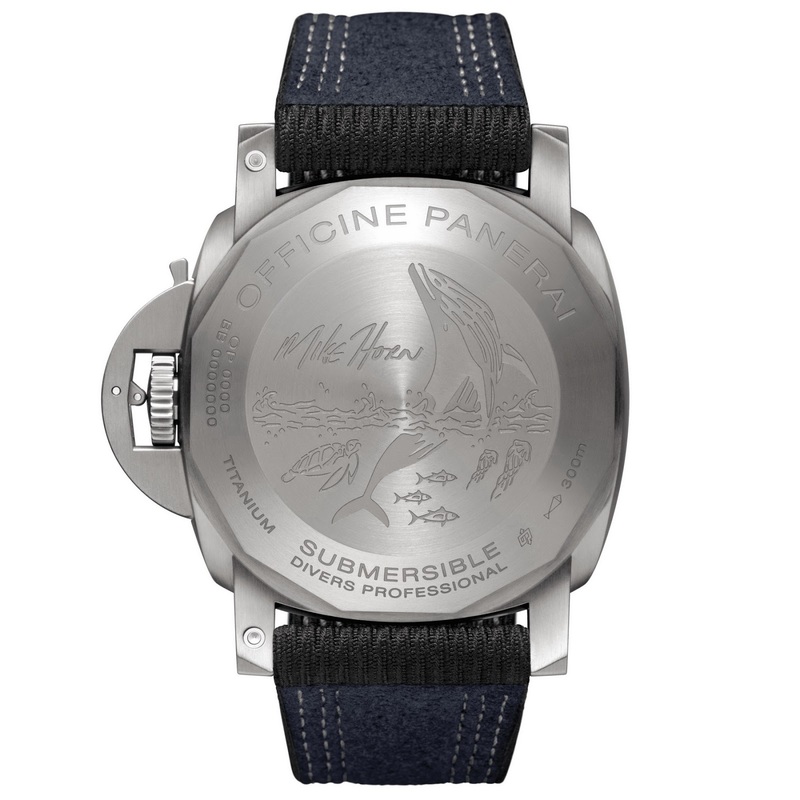 The Mike Horn Submersibles are equipped with special 47mm cases made form EcoTitanium, a world premiere material introduced by the Panerai ‘Laboratorio di Idee'. This material, obtained from recycled Titanium, is used for the case, the crown’s protection device and the bezel, as well as the case-back. The strap is also made from environmentally friendly material, recycled ocean plastic. 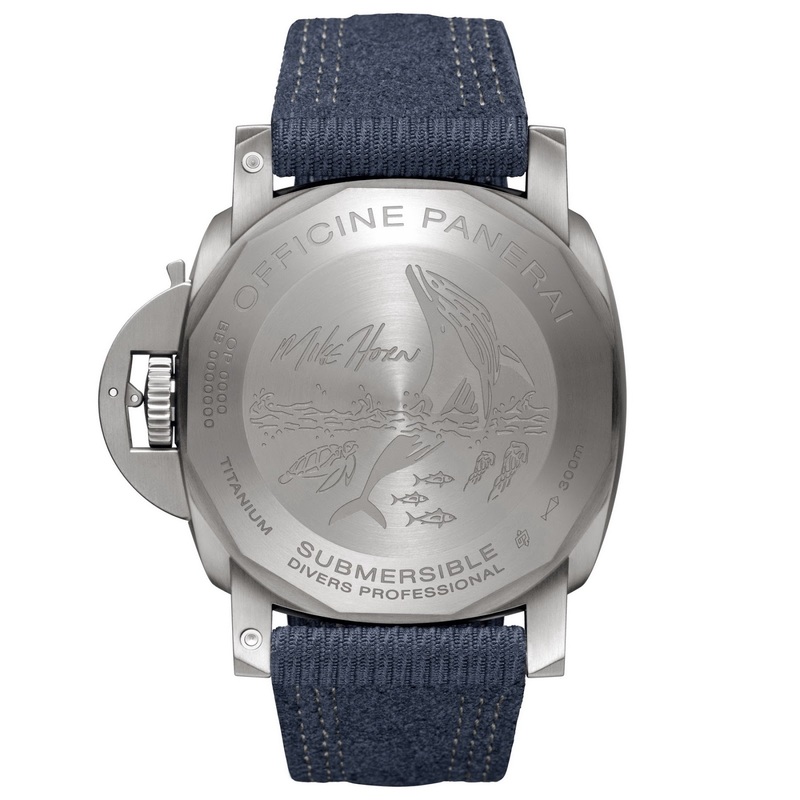 In addition to the special eco-materials used for the watches, they get specially engraved case-backs with breaching Blue Whales, turtles, jellies and other lil’ fishies. 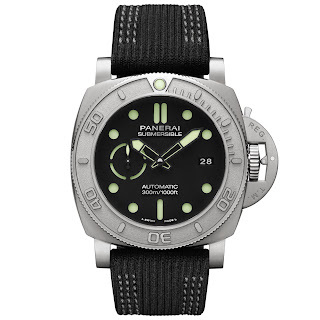 The Submersible Mike Horn Edition PAM00984 with its black dial with green lume is delivered on an anthracite textile strap. It has an MSRP of 20’500USD excl. sales tax. Its sibling, PAM00985 has a black dial with blue lume and is delivered on a blue textile strap. Its MSRP is not announced but I couldn’t imagine it would be a much more or less, as both models have the exact same spec. This spec. 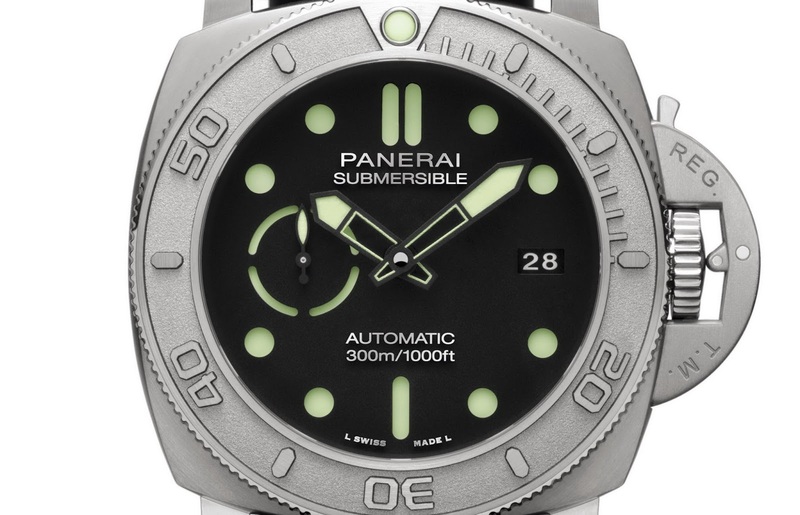 includes 300 meters of water-resistance and an in-house automatic movement, the P.9010 caliber. Anyone purchasing one of the Limited Editions of 19 pieces of PAM00985 can live the exclusive experience of training with Mike Horn among the ice floes of the Arctic. Sounds cold! Thoughts? I’m not sure that I’m a fan of the re-designed sub-dial, hands or even the new bezel engravings but I do like the interior bezel finish and the eco materials are great despite their obvious costs.